Robbie Simpson goes for glory at the Manchester Half Marathon on Sunday, but not before Jess Judd opens the weekend targeting back-to-back cross country wins in Cardiff on Saturday. 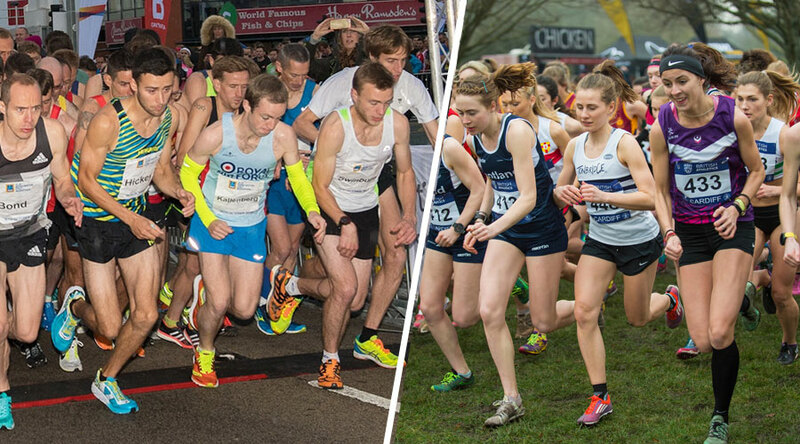 Elsewhere this weekend we have the inaugural Birmingham International Marathon, the Bright10 (Brighton & Hove 10 Mile) returns for its third year and the Scottish cross country season gets underway. Manchester Half Marathon is one of the flattest 13.1-mile races around with only 41 meters of elevation gain on a two-mile finishing straight. This course is designed for personal bests. Robbie Simpson, who clocked 2:15:04 at the London Marathon this year and achieving the qualification standard for the World Championships and Commonwealth Games, leads the entry in the men’s elite field. Subsequently, Simpson had to withdraw from the World Championships due to injury, but on Sunday will be hoping to impress Commonwealth Games selectors with a win. Luke Traynor of Glasgow City is also entered and will hope for a great half marathon debut, after posting a 10,000m personal best of 29:08 this summer. Other strong entries include Jack Morris of Stockport Harriers, Ben fish of Blackburn Harriers and Richard Weir of Derby AC. Favourites in the women’s race include Kate Reed of Bristol & West who won her debut race over the distance in February in a very impressive 73:44 at the Tallahassee Half Marathon. Rebecca Hilland of Team Bath is currently targeting the Frankfurt Marathon at the end of this month and will be looking at improving her best of 1:15:38. After nearly two decades at Bute Park, the Cardiff Cross Challenge will now take place at Llandaff Fields. The race has moved date this year from its usual January and opens the British Athletics Cross Challenge and the Gwent Cross Country League. As ever the race attracts a high-level entry and leading the senior men are Jonny Hay, Charlie Hulson, Andrew Heyes, Ieuan Thomas and Graham Rush. Jess Judd will start the race as the favourite in the senior women’s race after taking top honours last year before going on to have a very impressive season. Judd set a number of personal bests over the last ten months and notable achievements included the English national cross country title, reaching the 1500m semi-final’s World Championships, 5000m bronze at the World University Games. and concluded her season with a personal best over the mile (4:18.27) at New York’s famous 5th Avenue Mile. Ahead of Saturday Cardiff Cross, the 22-year-old told Fast Running: “I’ve always really enjoyed it. I like Cardiff and we normally make a big weekend of it. I’m really looking forward to it. It’s the first real cross country test…so it will be interesting to see what happens.” The full interview with Judd, where she discusses how “getting back to basics” with a full cross country season in 2016-17 helped get her career back on track can be read here. On Saturday she will face tough competition in Charlotte Arter, Verity Ockenden, Phoebe Law, Louise Small and Emily Hosker-Thornhill. Lily Partridge will hope to bounce back after her Berlin Marathon disappointment and Jenny Nesbitt who won recently won Welsh Half Marathon title in Cardiff will also be on the start line. The inaugural Birmingham International Marathon will take place on Sunday starting at Alexander Stadium, the home of British Athletics. The course will finish in the Centre of Birmingham but not before taking in some of Birmingham’s iconic landmarks. Martin Williams of Tipton leads the entry with a Marathon best of 2:17:36 set in 2010 which qualified him to run in the Commonwealth Games in Delhi and the European Championships in Barcelona for Scotland. Others with a chance of winning include Steven Robinson of Peterborough with a current best of 2:31:58 and Karl Welborn of Tipton with a 2:33:39 best. In both the men’s and women’s races, the overall winner will receive £2000 cash £1000 for second and £750 for first. A £15,000 bonus will be paid to anybody running an English or Scottish National record. The Bright10 returns for the third year on Sunday, Paul Navesy of Crawley AC won the 2016 event in 53:11. Sue Fry won the ladies race in 1:03:59. This year’s top entries include Kevin Rojas (Brighton & Hove), James Westlake (Crawley), Ben Saville (Crawley) and Tom Evan (Lewis) who last weekend won the Peterborough Half Marathon. Izzy Coomber of Lewes is on the start list in the women’s race, Izzy ran a personal best for the 10k distance in February with 35:13. The Scottish cross country season gets underway on weekend with the District XC Relays taking place at three venues across the country. The venue for the East District XC Relays is Glamis Castle, Forfar, with the Northern event at Edderton, Tain, both take place on Saturday. On Sunday, the West District XC Relays round up the Scottish weekend of cross country at Hamilton Racecourse. Over 2500 athletes have signed up to compete, an encouraging sign ahead of the Lindsays Cross Country season, which opens with the Scottish nationals at the end of the month. Further details can be found here.